EVERYONE WHO’S BEEN TO THE DENTIST is familiar with X-rays. You put on the lead apron, you’re given a rectangular contraption and told “put this between your teeth and bite down,” and then you hear that tiny beep. Have you ever wondered what the different types of dental X-rays are and what they’re for? Let’s take a closer look at three of the most common ones. Has an X-ray technician ever had you stand on a circular platform and stand still for several seconds while the machine spun around your head? Then you’ve had a panoramic X-ray, which is the most common type of extraoral dental X-ray. With these, we can see your entire mouth in one image, because the camera travels all the way around your head while taking the picture. These X-rays show incoming adult teeth and wisdom teeth, including any that are impacted, which is how we determine if there’s enough room for these teeth to come in and if they’ll come in on their own. Panoramic X-rays also make it much easier to detect things like tumors, cysts, and abscesses. As you might have guessed from the name, bitewing X-rays are the ones where the patient has to bite down on a piece of dental film before the image is taken. 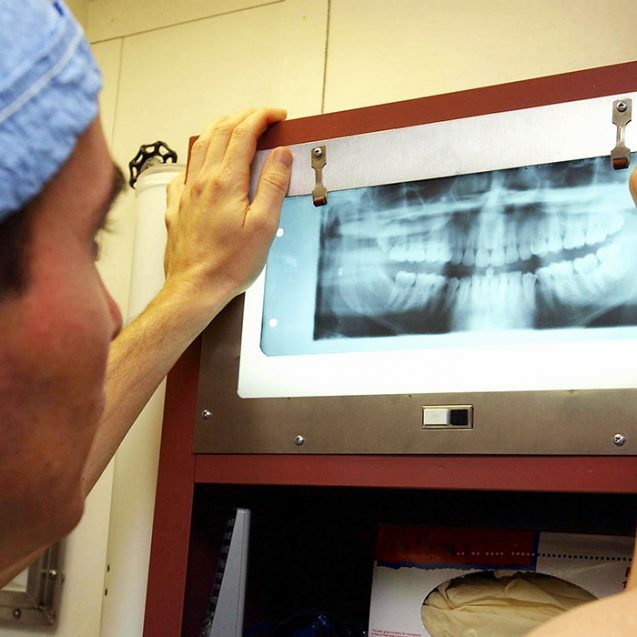 Because the dental film is inside your mouth, bitewing X-rays are a type of intraoral X-ray. Usually, there will be one X-ray taken for each of the four quadrants of your mouth. Bitewing X-rays are taken to give us a clear view of the crevices between your teeth, which are difficult to see with the naked eye. With these images, we can easily check for tooth decay and cavities in those areas. This intraoral X-ray is the close-up of the dental world. 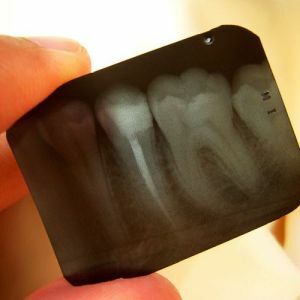 If a specific tooth or area in your mouth is bothering you, we’ll probably take a periapical X-ray to get a clear idea of what’s going on there, but they can also be taken alongside bitewing X-rays even if you aren’t aware of an obvious tooth problem. All types of X-rays are simple, low-risk tools that help us catch dental problems early on, maybe before you’ve even noticed anything! However, in order for us to do that, it’s crucial that you come in for your regular cleanings and dental exams. Is your smile ready for its next close-up? We’re so happy to have you as part of our practice family!